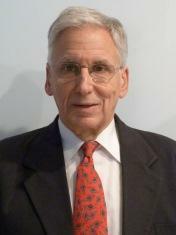 Dr. Joel Howard, ABS Co-founder, retired as Chief Executive Officer as of September 2017. The ABS Team is grateful for Dr. Howard’s nine-year leadership, during which the company made significant progress. Notable achievements include the initiation of the Biorefinery Development and Commercialization Center at Alfred State University, exploration of several other potential biorefinery projects, recognition of ABS in national biofuels publications, and several contracts for services related to biorefinery technology. 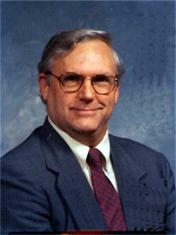 Dr. Howard continues to serve as an advisor to the team of professionals leading ABS. Dr. Amidon is a thought-leader in the field of Bioprocess Engineering and Industrial Paper Science. He is a Professor and former Department Chair at SUNY-ESF, recently named the College's Exemplary Researcher in recognition of his research activity, publication record, and student mentorship. Prior to his university appointments, Dr. Amidon was the much-loved Manager of the Corporate Research Center for International Paper Company, responsible for an annual budget exceeding $10 million. During his career at International Paper Company he also worked within their capital investment evaluation group. Dr. Amidon's expertise is unique including both technology development and commercial process implementation. He has been the principal investigator for a number of large research grants from the US Department of Energy, and most recently, from the highly competitive National Science Foundation. He is widely experienced in industrial processes, commercial scale-up of pilot operations, regulatory aspects, design and quality improvement, and has co-authored four patents and over 60 peer-reviewed papers. Dr. Amidon received his PhD in Silviculture, MS in Forest Tree Improvement, and BS in Forest Management each from the SUNY College of Environmental Science & Forestry, Syracuse, NY. Dr. Wood has been an innovator in biorefinery technology for over 15 years, working at both laboratory and pilot scale. Cross-cutting biorefining, pulping, and paper making industries, Dr. Wood has unique experience designing, constructing, operating, and maintaining such process equipment at the SUNY ESF's Pilot Plant in Syracuse, NY. Dr. Wood is co-author of several articles on biorefining science and technology, and six granted patents related to biorefinery process engineering. He also has commercial experience in engineering and operations with O’Brien and Gere and Newpage Corporation. Dr. Wood received his PhD in Paper and Bioprocess Engineering from the SUNY College of Environmental Science & Forestry, MS in Mechanical and Aerospace Engineering from Syracuse University, and BS in Paper Engineering from the SUNY College of Environmental Science & Forestry. Dr. Hollander has more than 10 years of experience as a technological innovator and educator, having focused on such topics as semiconductor physics, polymer chemistry, and energy efficient lighting policy. He has advised for-profit start-ups delivering high social impact with particular interest in companies that focus on sustainability and empower local communities through economic development opportunities. He currently holds an Adjunct Assistant Professorship from SUNY-ESF. 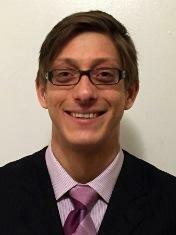 Having been twice awarded prestigious scholarships for graduate study at the University of Cambridge, the Gates Scholarship and the Churchill Scholarship, Dr. Hollander matriculated there to pursue his PhD in Materials Science and MPhil in Physics. 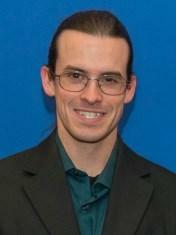 Dr. Hollander earned his BS in Materials Science from the University of Illinois at Urbana-Champaign. Mr. Wood is a researcher, project developer, and project manager with over 40 years professional experience in the nuclear power industry, academia, and defense-related software development. While at Niagara Mohawk Power Corporation he was responsible for a multi-million-dollar R&D portfolio supporting the Company’s nuclear power operations, and was a member of the Electric Power Research Institute’s Nuclear Engineering and Operations Advisory Task Force. Mr. Wood was a founder of the Industrial Innovation Extension Service and the Electric Power Research Institute Knowledge-Based Technology Applications Center at the Syracuse University College of Engineering. His diverse research accomplishments include improved reactor coolant pump seals, an expert system design aid for highway intersections, and an insider cyber-threat detection system for the Air Force Research Laboratory. Mr. Wood holds an Sc.B. degree in Electrical Engineering and Public Policy Analysis from Brown University, and has done graduate study at Syracuse University in Solid State Science and in Public Administration.